Dhaka, 17 September, Abnews: The quota reform body, formed by the government to review the existing quota system in public service, has recommended abolishing the quota system from 9th to 13th grades (1st class and 2nd class) of government jobs. “We’ve submitted the report to Prime Minister Sheikh Hasina at the Cabinet meeting where the committee proposed abolishing the quota system from the 9th to the 13th grades of government jobs,“ said Cabinet Secretary Mohammad Shafiul Alam while talking to reporters at the Prime Minister’s Office. The Public Administration Ministry will place the proposal to the Cabinet and a gazette notification will be published if the Cabinet approves it, he said. On July 2, the government formed a seven-member committee with Cabinet Secretary Mohammad Shafiul Alam as its convener to review the existing quota system in public service. The other members of the committee are secretaries of the Public Administration, Finance Division, Liberation War Affairs, Legislative Division and PSC and PMO acting secretary. 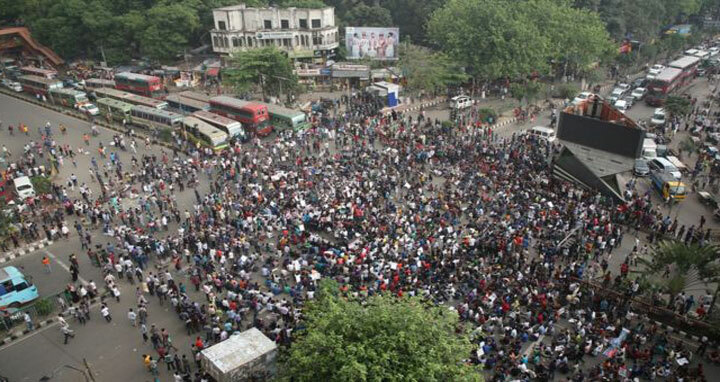 On July 12, Prime Minister Sheikh Hasina said it is not possible to reform freedom fighters’ quota in government jobs as there is a High Court verdict to continue it.